Cuffs are obviously a great trend piece in jewelry right now, but let’s take it one step further. Buy a couple of identical, clean cuffs like these, and wear one on each arm. It’s a wonderful alternative to the statement necklace, should the neckline of your outfit not accommodate one. Bold, but not overwhelming. 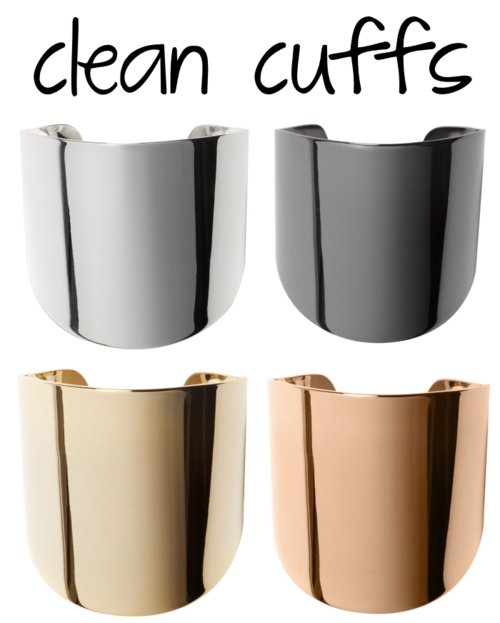 Get the cuffs above here for only $58 each!